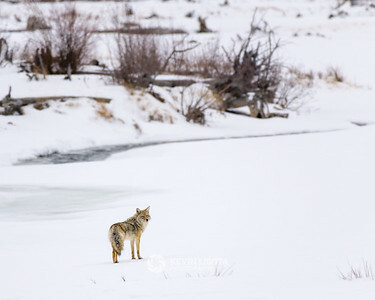 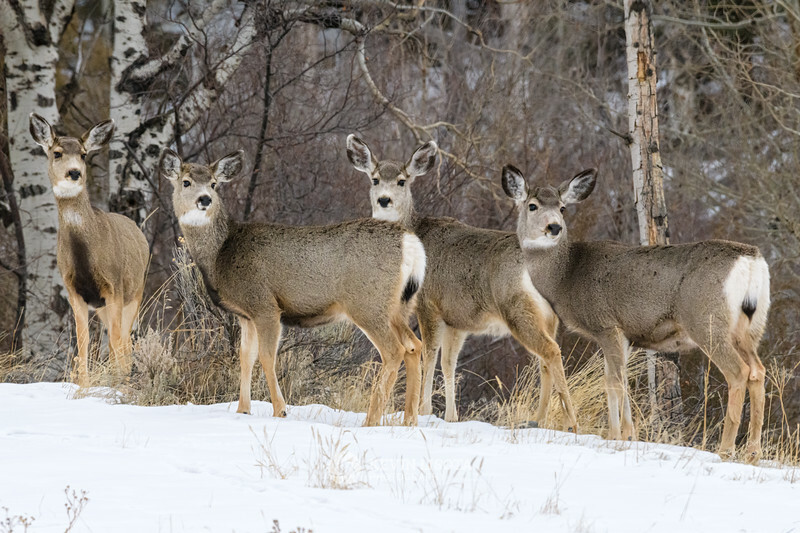 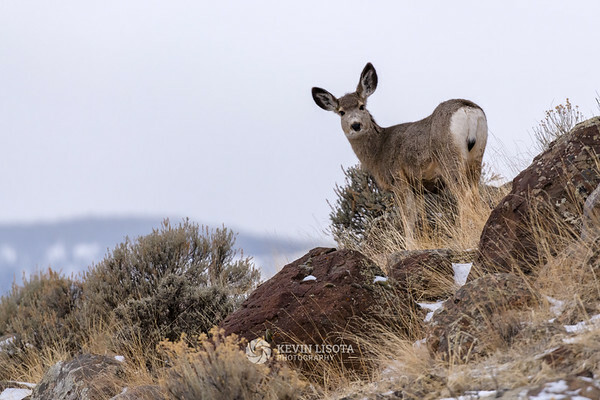 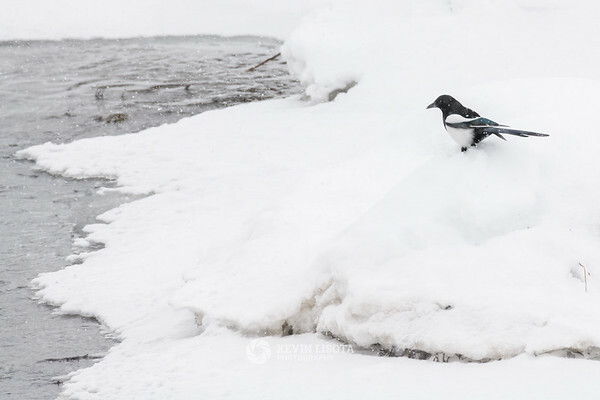 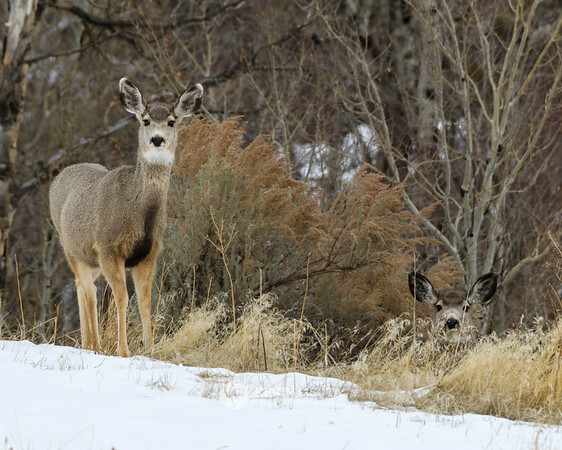 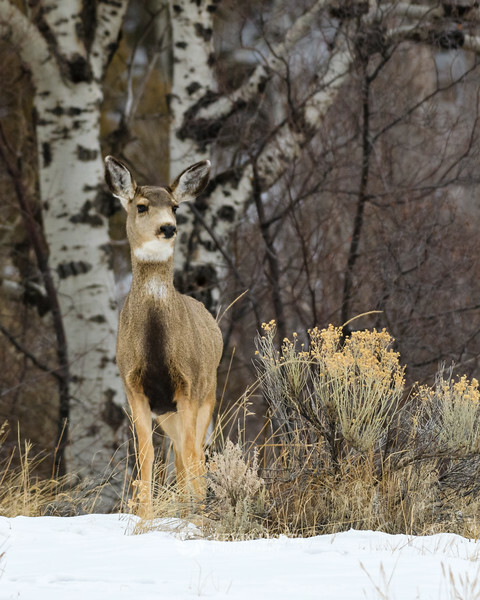 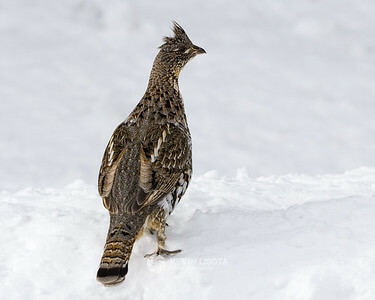 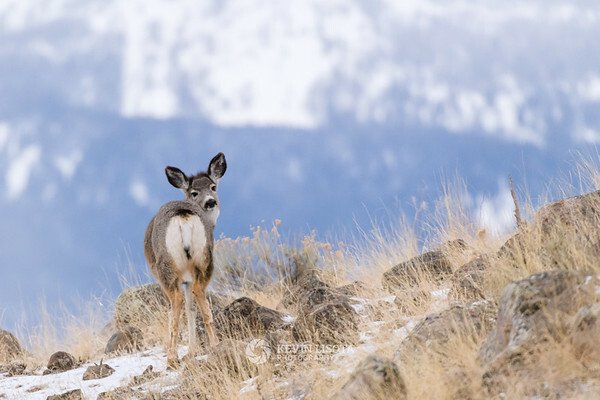 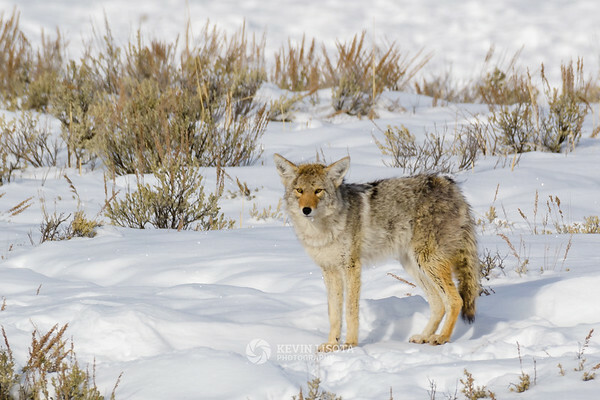 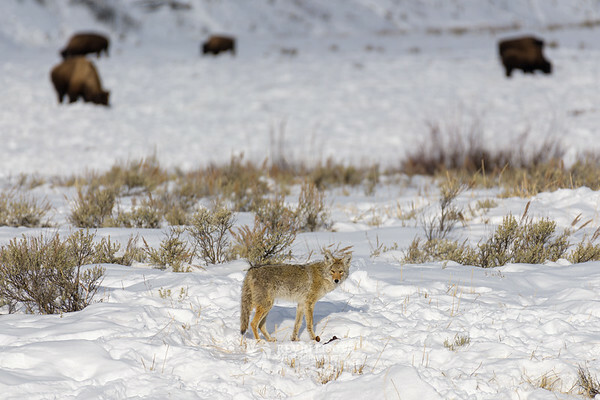 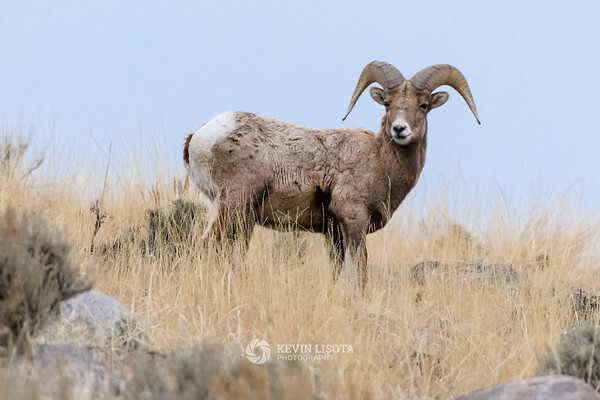 Wildlife photos from Yellowstone National Park during winter including bison, elk, otters, bighorn sheep, moose, coyotes and more. 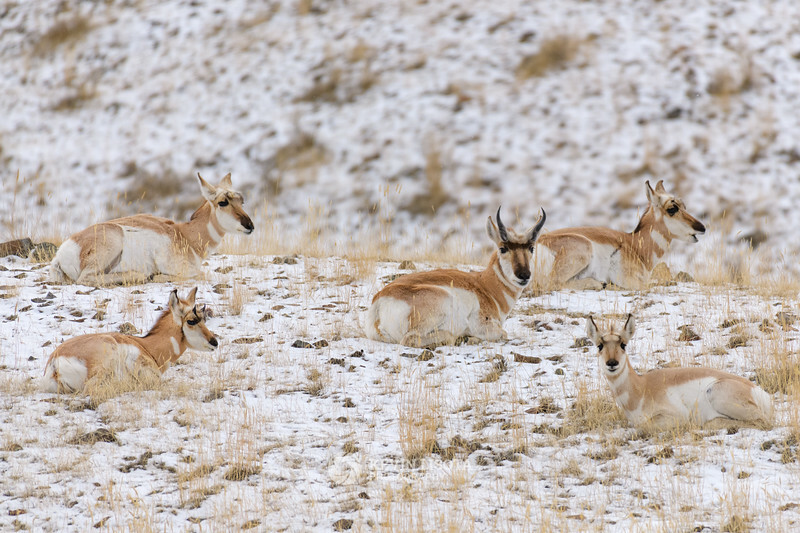 A herd of pronghorn resting on a hill outside of Gardiner, Montana. 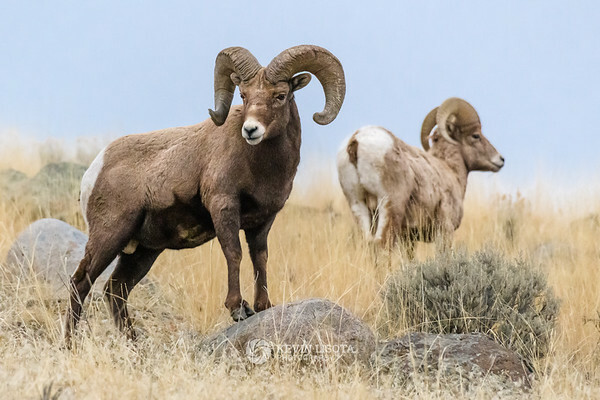 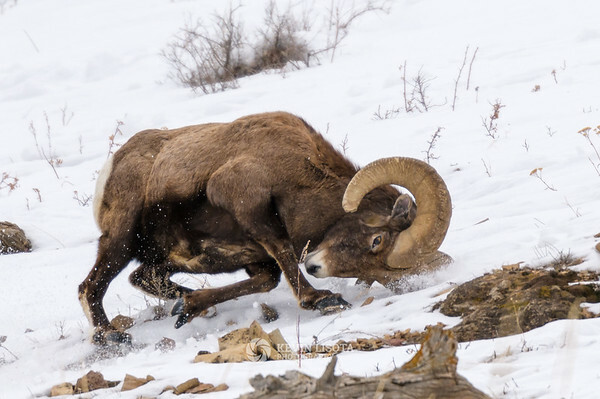 Even the sure-footed Bighorn Sheep sometimes fall down on steep hills. 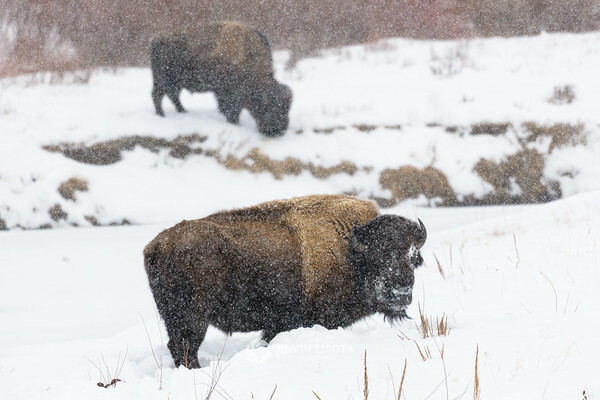 Bison feed on grass during a snowfall along Soda Butte Creek.